Google has just released its own virtual world: Lively. Lively is available through a browser plugin for Firefox and Internet Explorer. It is Windows only for now. 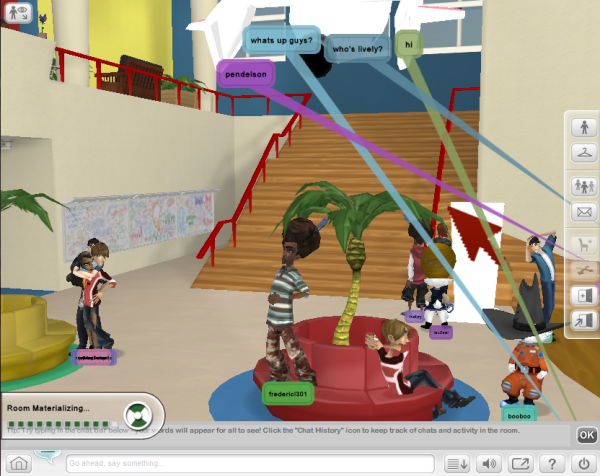 Lively does not feature one coherent world like Second Life but splits worlds up into different rooms. Lively was originally developed as a 20% project my Niniane Wang. 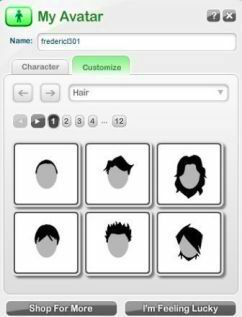 Lively runs completely in the browser and you use your Google account to log in and create your own avatars. Within the world, you can interact with other users, very much like you would do in Second Life. You can also watch YouTube clips on virtual TVs and share your own photos. Users can chose from a number of preset animations for their characters, ranging from shaking hands with others, to applauding, crying, etc. By double clicking on certain items in the virtual world, users can also often activate some preset animations such as sitting down on a chair or jumping off a dive board. Setting the plugin up and creating an avatar is a very simple process. Creating rooms, too, seems quite easy, as you can quickly import a number of templates to get started. Currently, all virtual items for Lively are for free, but chances are that Google will start charging for premium items in the future. For now, the content in Lively is being created only by Google, though over time, they are planning to allow users to start creating their own content as well. Rooms can be easily embedded into any webpage and worlds often launch with a basic skeleton of the room within just a few seconds. Graphically, Lively runs very smooth on our test machine here and the visuals, while not comparable to a modern game, are not too bad either. Interestingly, there is no first-person view available, instead, the world is always seen from a camera perspective the user can control. One area where Lively could definitely needs some improvement is in how users move their avatars around the rooms. To move an avatar, users basically have to drag them through the room, while most people we have met in Lively have commented that they expected to see a more game-like approach where users use the keyboard to move avatars through the rooms. Second Life users might find the Lively rooms and the amount of customization they can do to them rather restricted - however, Google's idea seems to be less to create one large virtual world, but to give publishers an opportunity to create their own small virtual world for their readers and visitors. It's interesting to see Google moving into this space. There have always been rumors that Google might be working on a similar product for Google Earth. As of now, the rooms in Lively are compartmentalized and there is no way to move or communicate from one room to another, but given that this is only a first release, this might (hopefully) change over time.